Recently an expat mom contacted me. She was concerned about her 6 years old daughter, as they were about to change the country for the sixth time in her six years of life. The little girl naturally has been taking these moves hard, and the mother was thinking if a little dolly as a forever friend could offer her a little bit comfort throughout this situation. I asked her for sometime to think, as in my opinion, she needed more than “a doll”. It had to be something special fitting to her situation, so that it really could help her. I could understand the little girl’s feelings, as I left my home to go to a boarding scholl at the age of ten, spending many years moving in between. As I read her mail, I remembered my mom telling me, I was living in my suitcase all those years. So that was it! A dolly living in a suitcase, who would move with her and accompany her in her travels around the world. Each time they move, she will also move in her suitcase home. 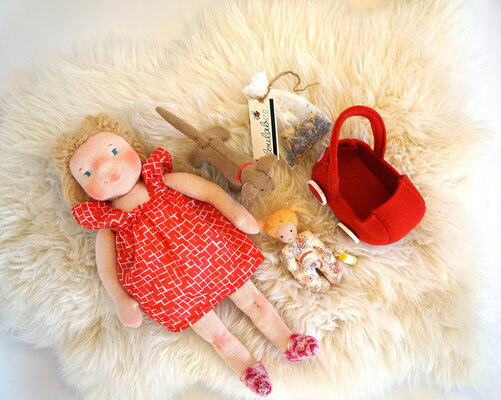 She will have her own little dolly, her dog and additional clothes. The presentation of a doll to a child must be in a special way too that the child accept it. So I wrote a letter to the little girl from the Queen of the Elves’ Land, sending her the best elf of her world in a magical suitcase to accompany her and be her best friend. She has to put a stamp from each country or city they moved to on the suitcase, and when the suitcase is fully covered, it will turn into a magical gate to the Elves’ Land. The mother was overwhelmed with the whole idea. 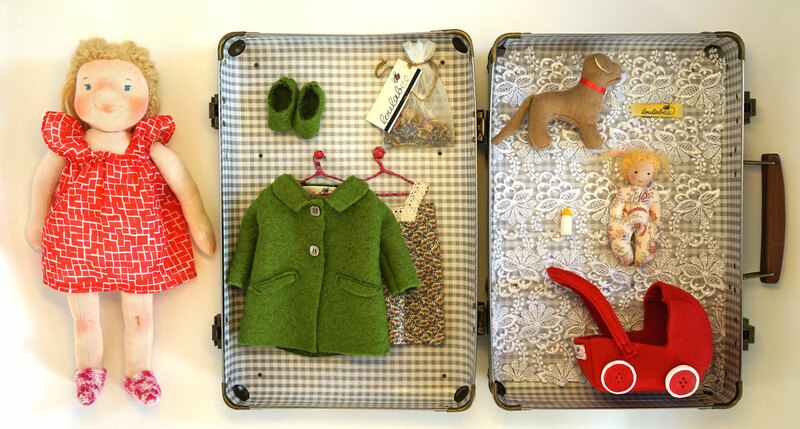 We will see how much comfort this suitcase doll project brings to this little girl’s life. I somehow have the feeling it will help a lot. 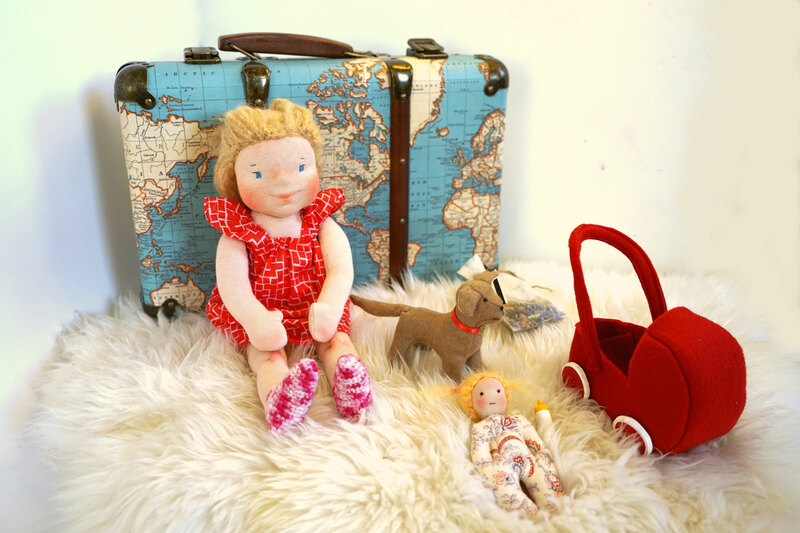 Now I am of course looking forward making more suitcase dolls for all those expat kids travelling around the world.